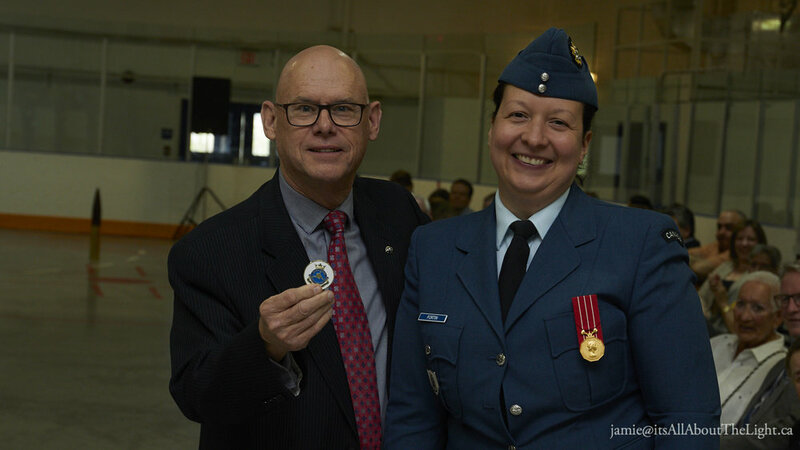 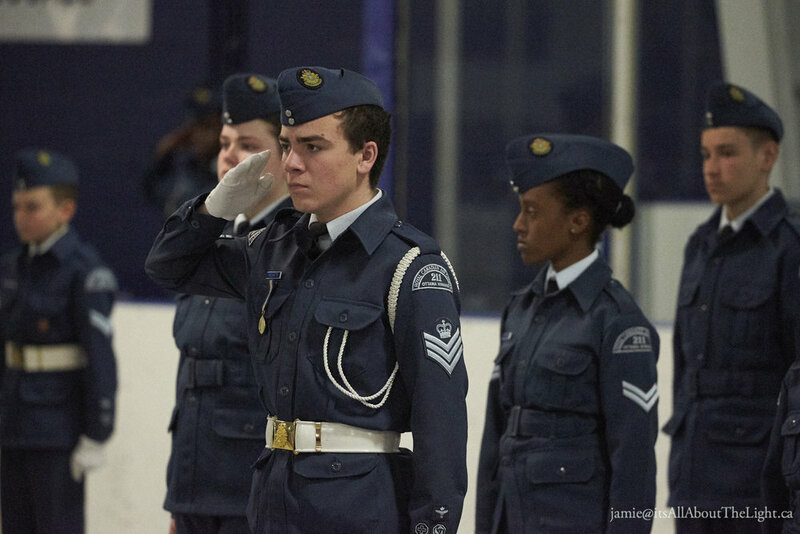 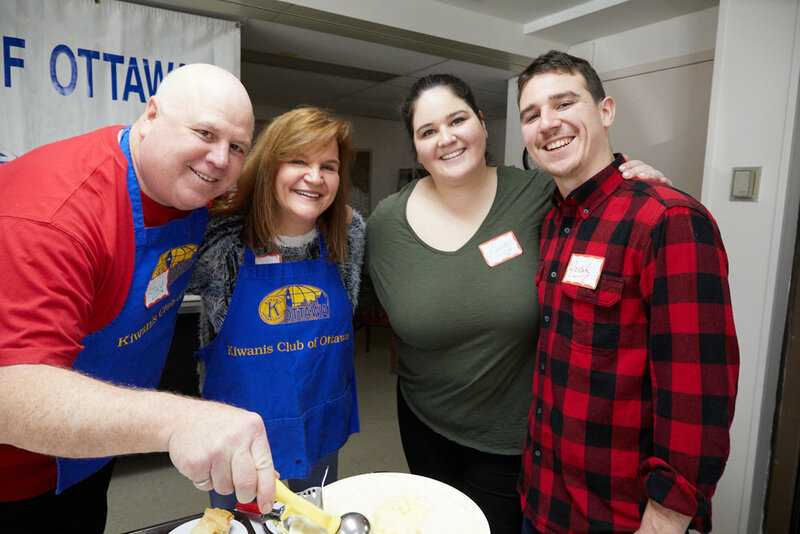 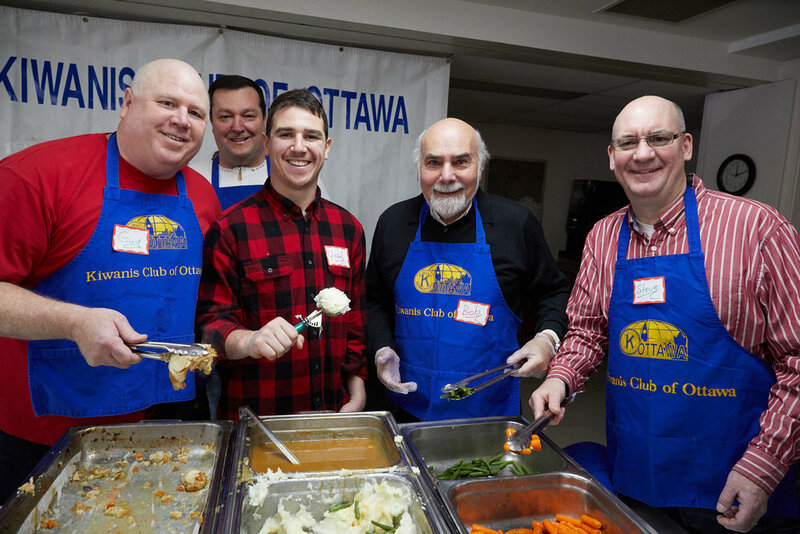 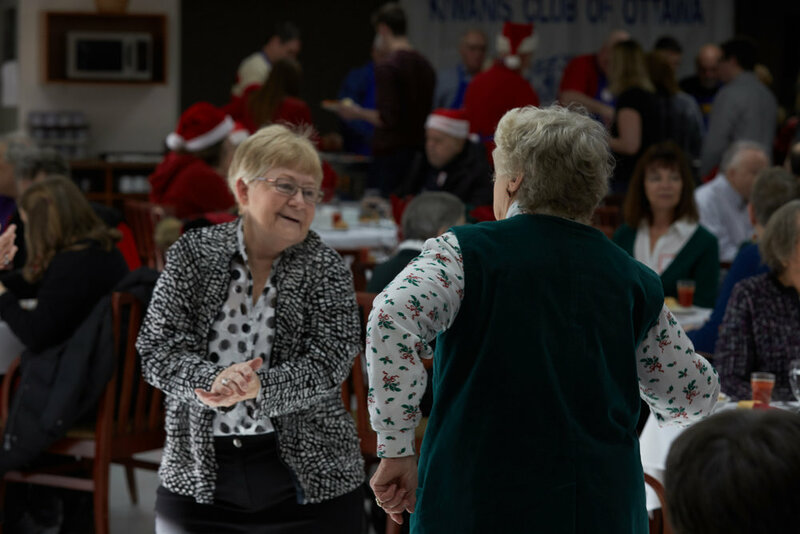 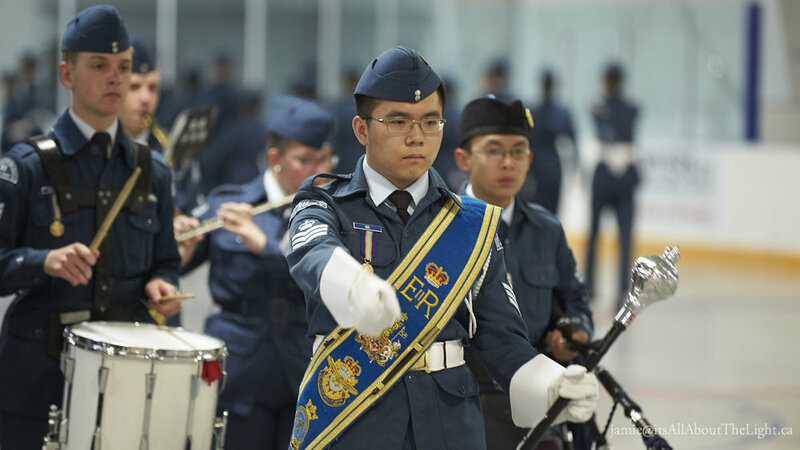 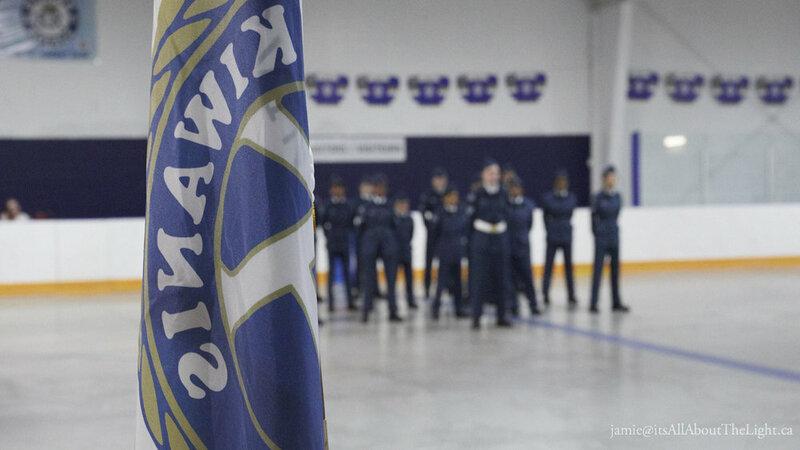 Did you know the Kiwanis Club of Ottawa has proudly sponsored the 211 Ottawa Kiwanis Royal Canadian Air Cadet Squadron for 75 years since November 1942?! 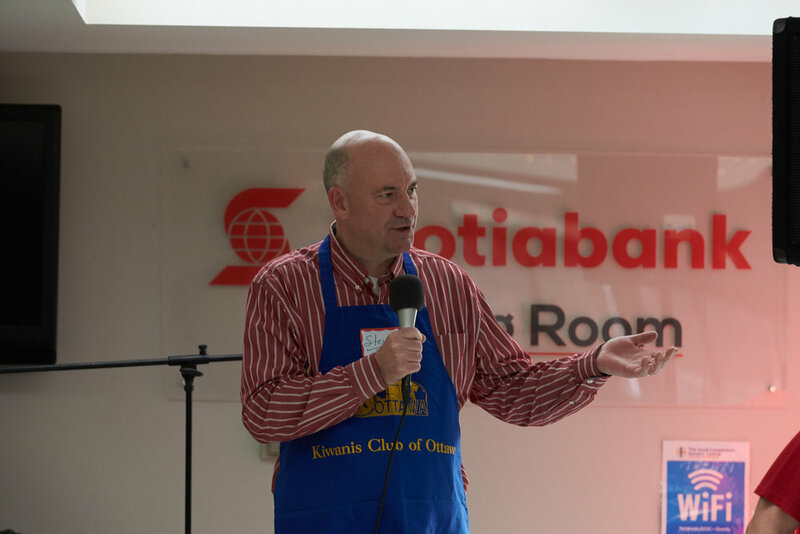 The longest sponsorship and partnership in the history of our Club. 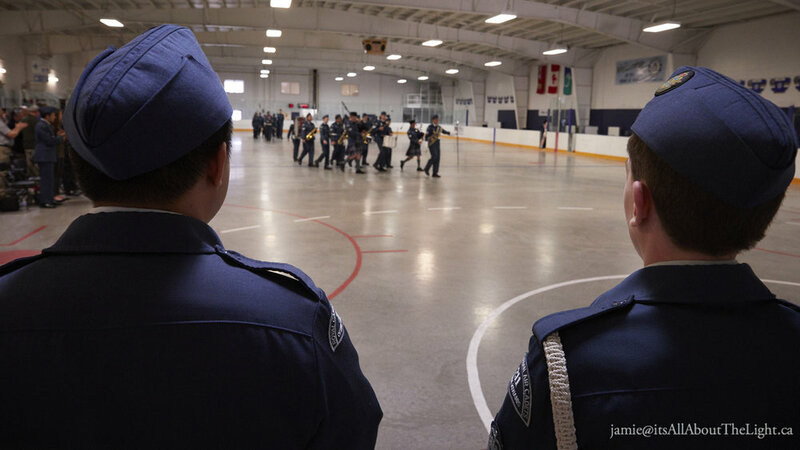 The late Vic Castledine was the first Commanding Officer and his son Past President Allan Castledine was the first cadet. 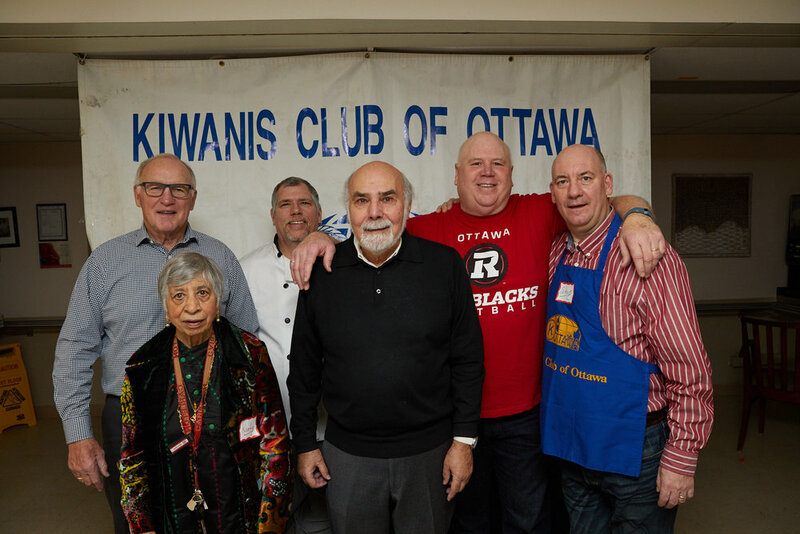 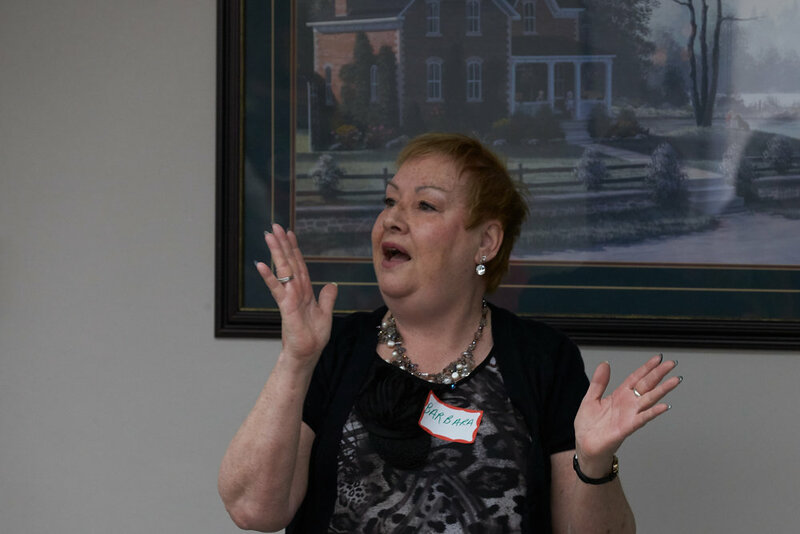 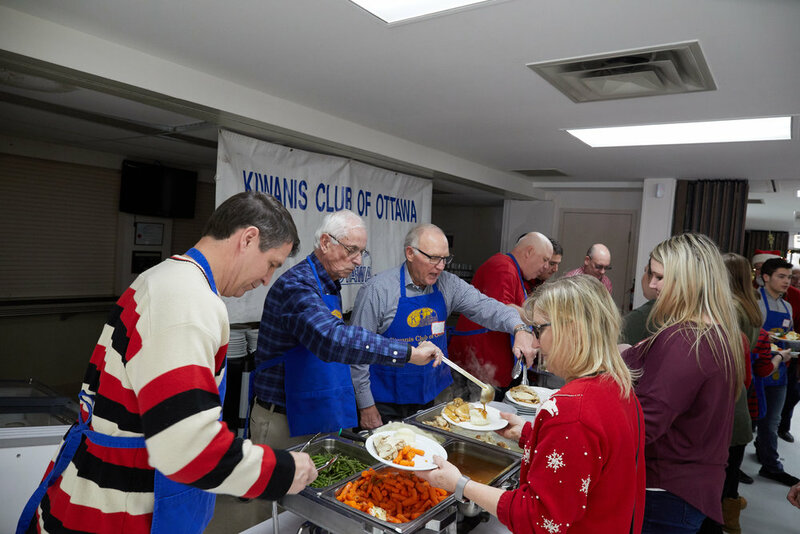 Both Vic and Allan are members of the Kiwanis Club of Ottawa Hall of Fame. 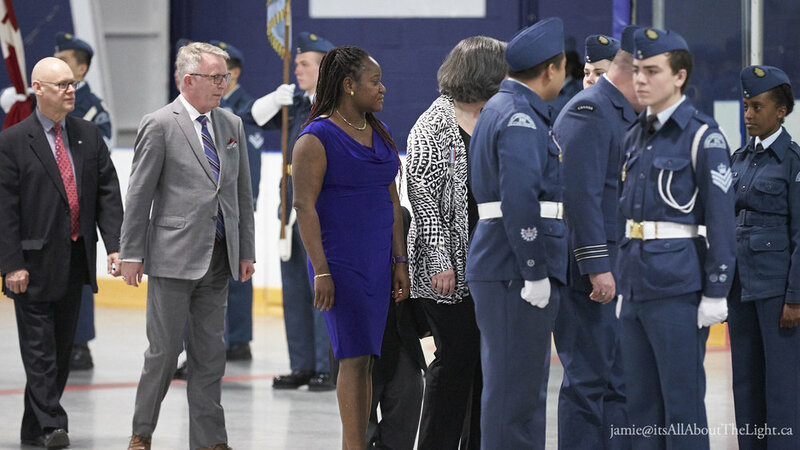 On the 12th May 2018, the squadron held their Annual Ceremonial Review. 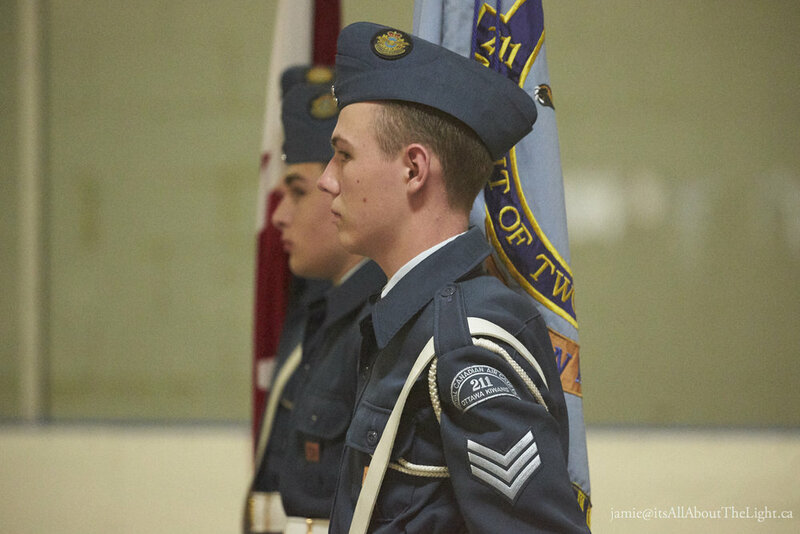 The cadets had the final parade and awards were presented for individual and group achievements over the past year. 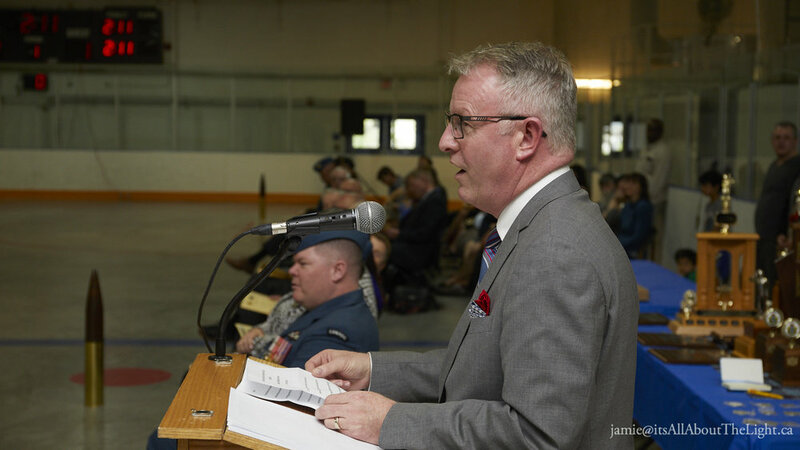 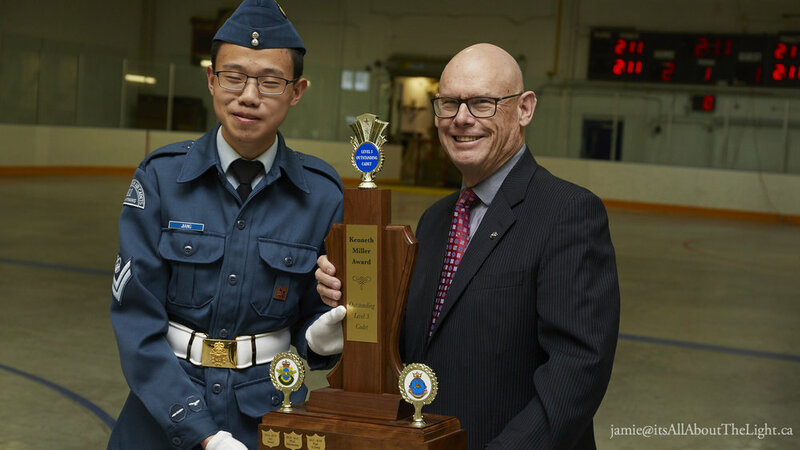 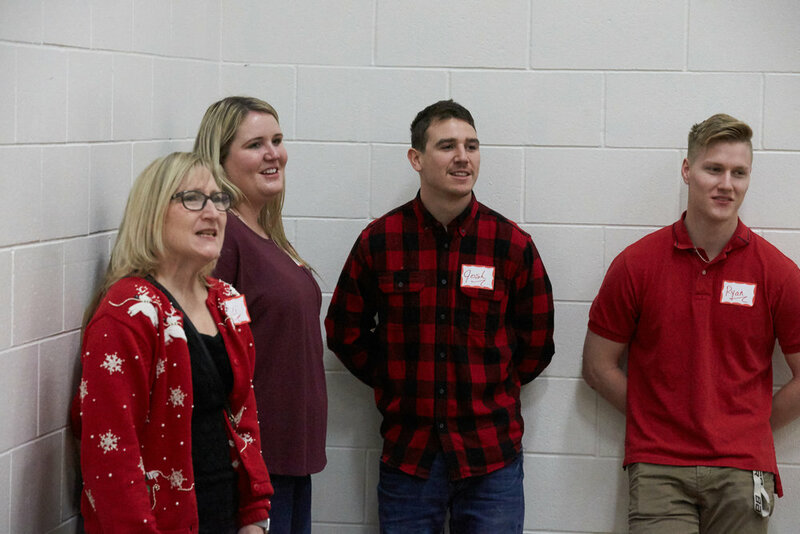 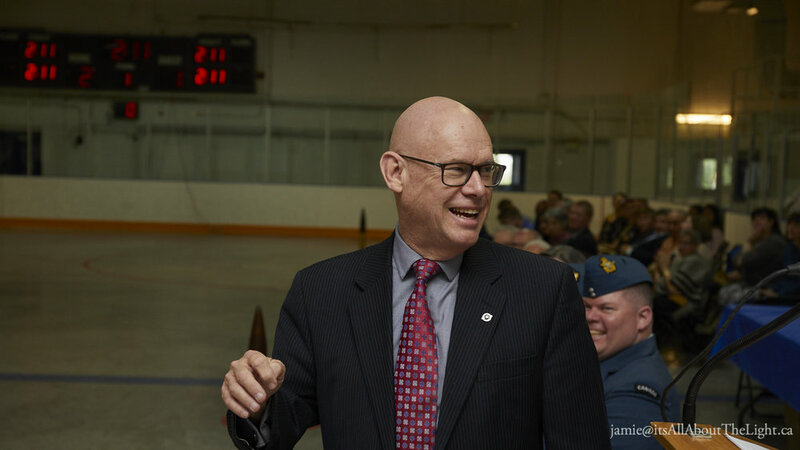 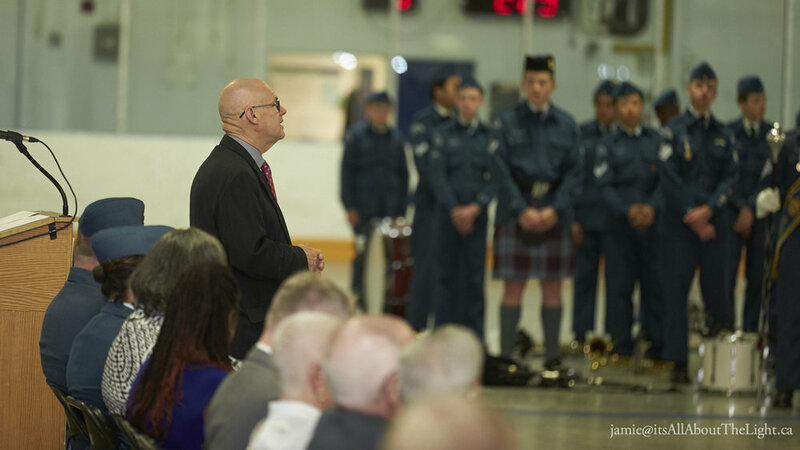 Included in the awards were special recognition of Allan Castledine and Ken Miller, along with recognition for the Kiwanis Club of Ottawa for the 75 years of sponsorship, the longest of any cadet squadron or corps. 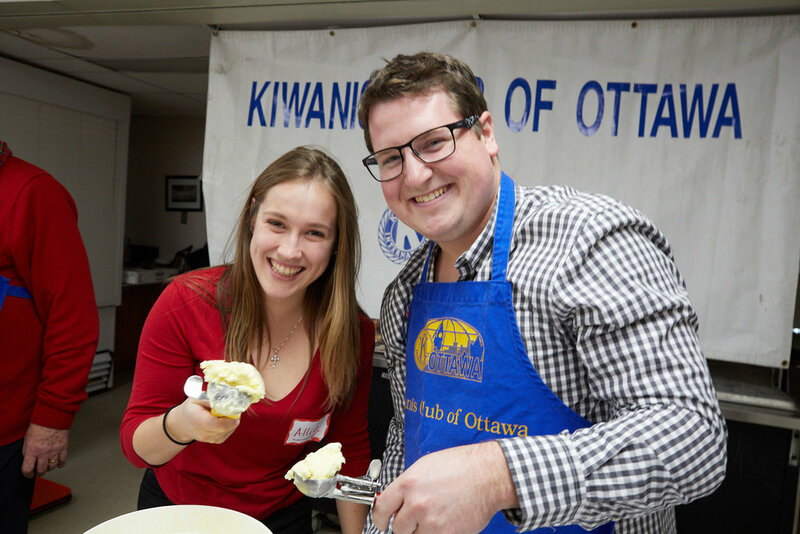 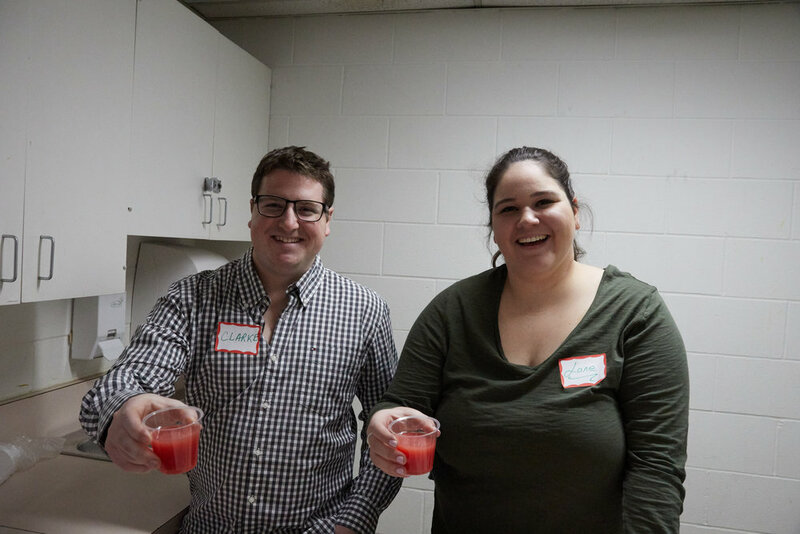 Michael Maidment is the Executive Director of the Ottawa Food Bank, and will be speaking to us about "Eliminating Hunger in our Community". 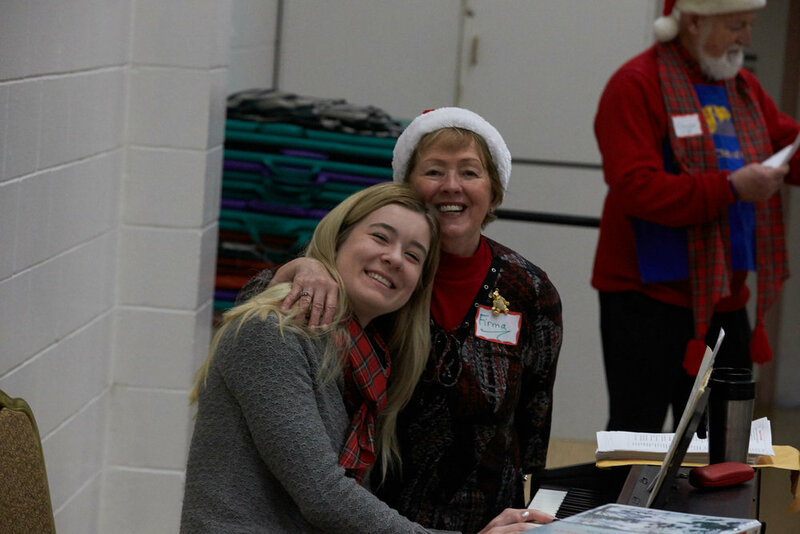 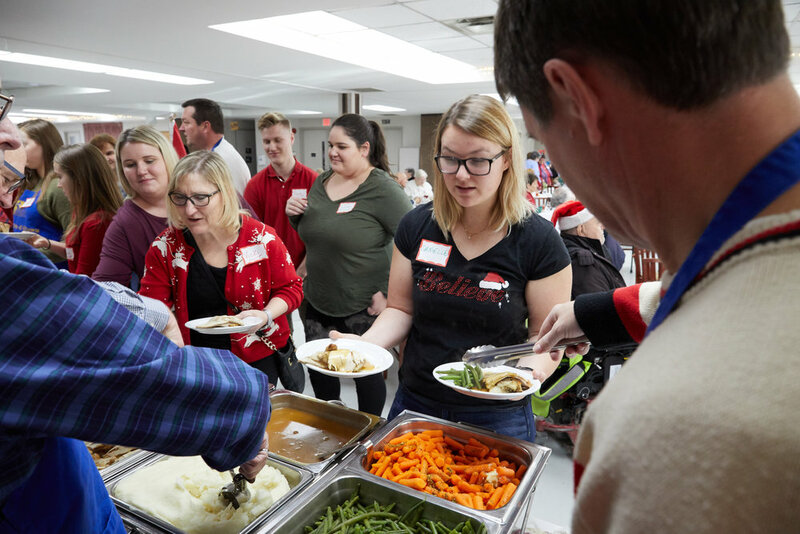 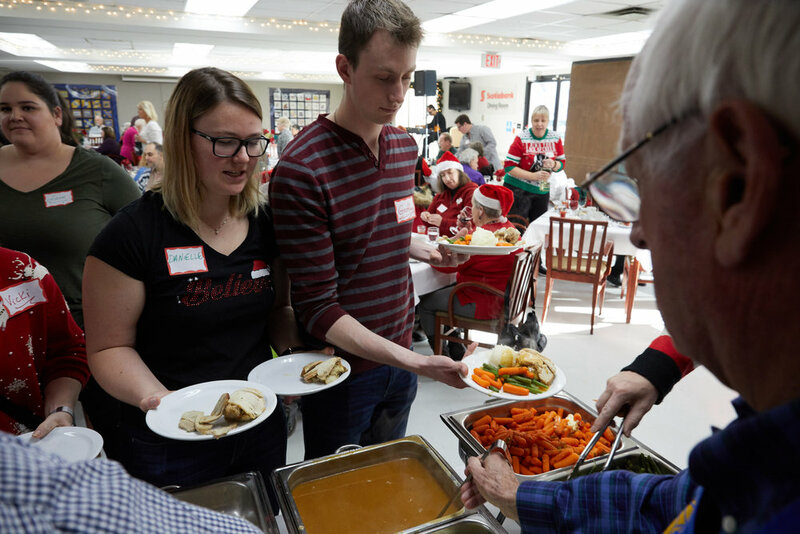 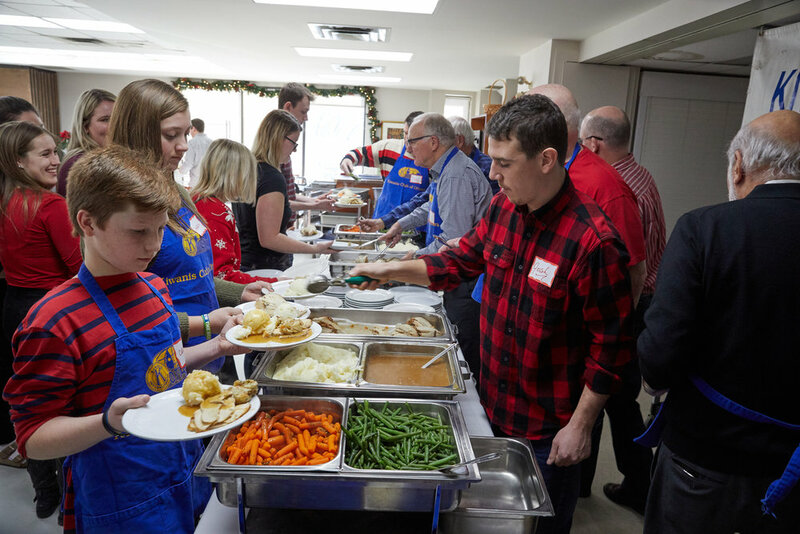 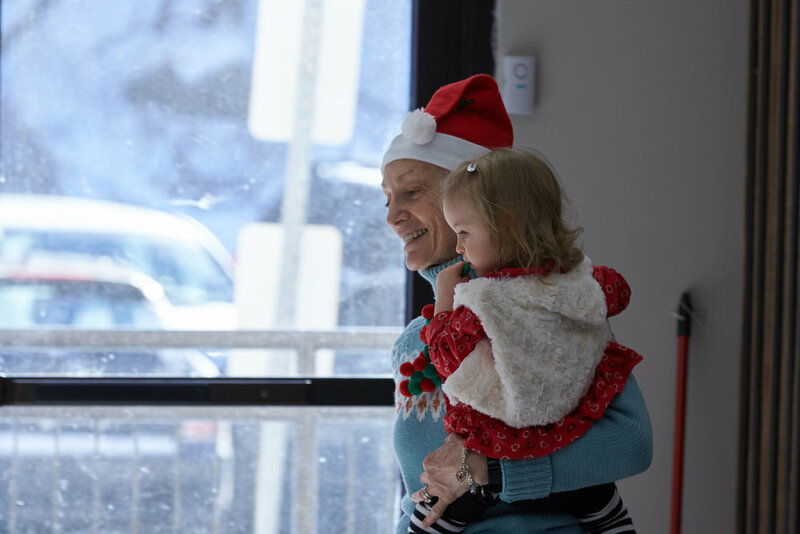 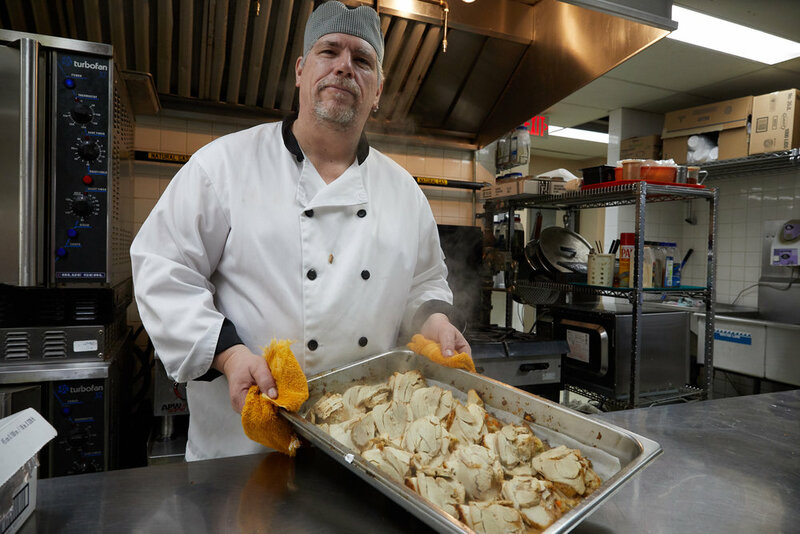 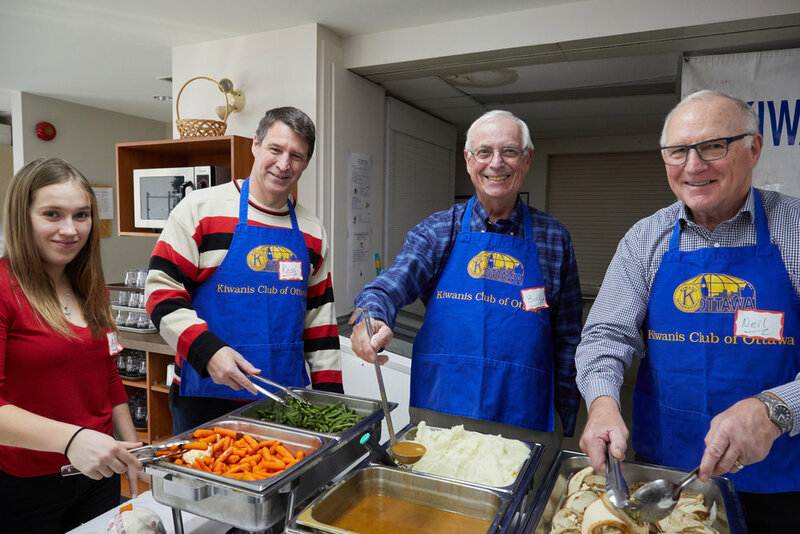 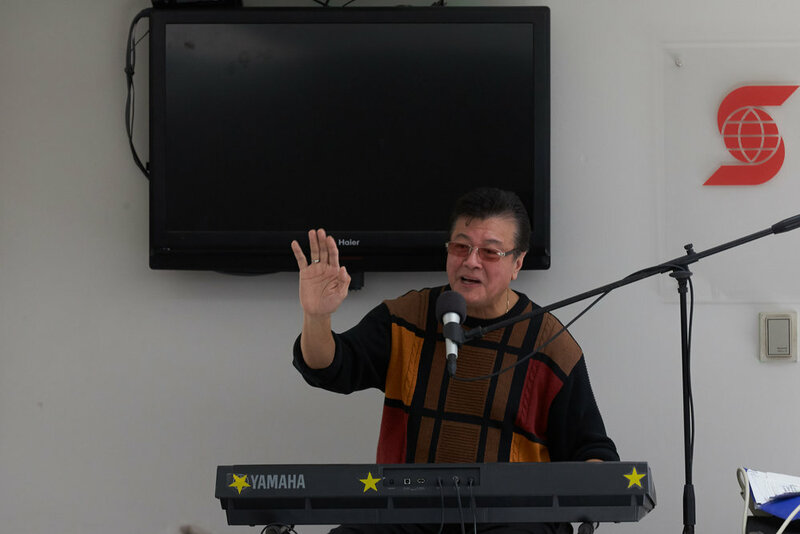 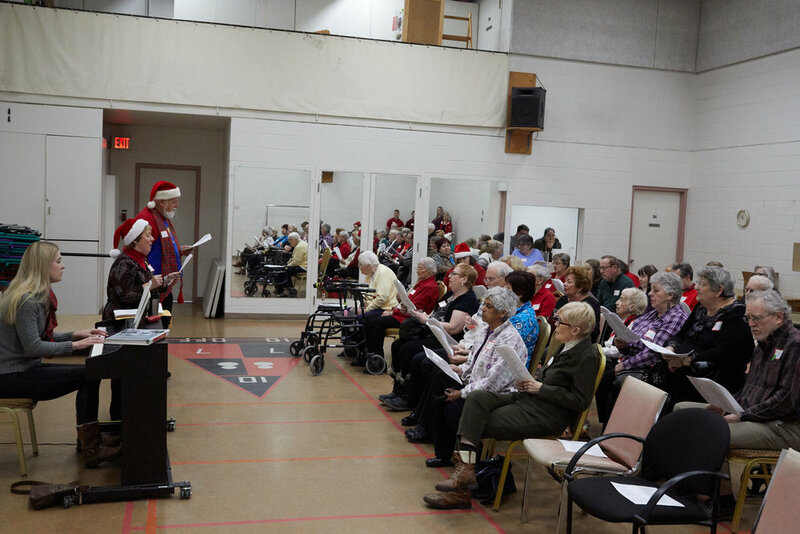 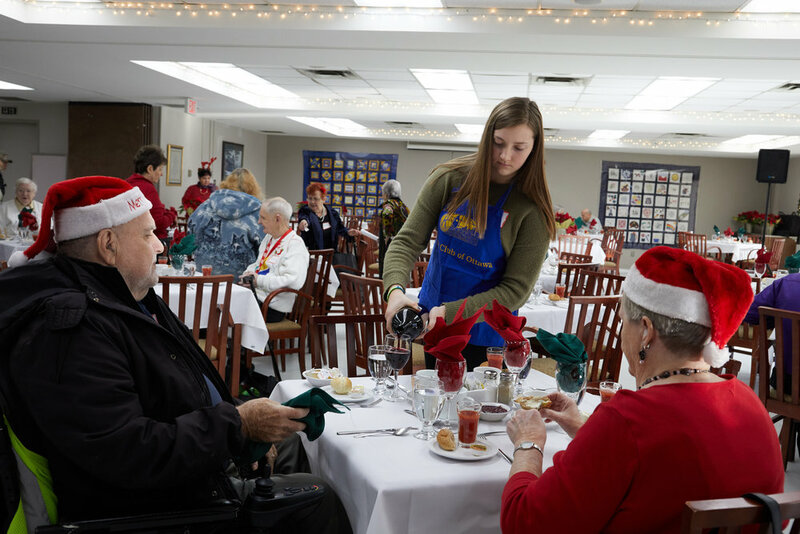 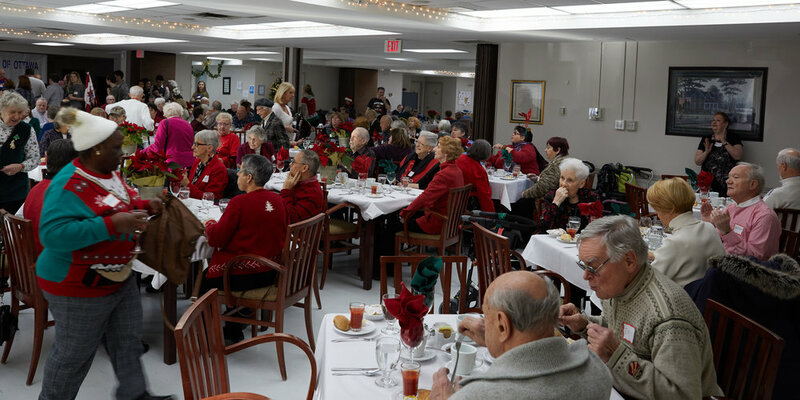 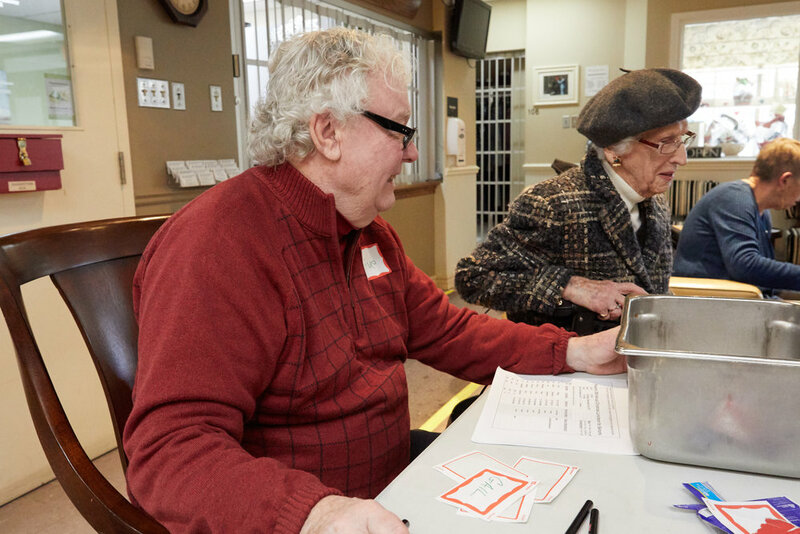 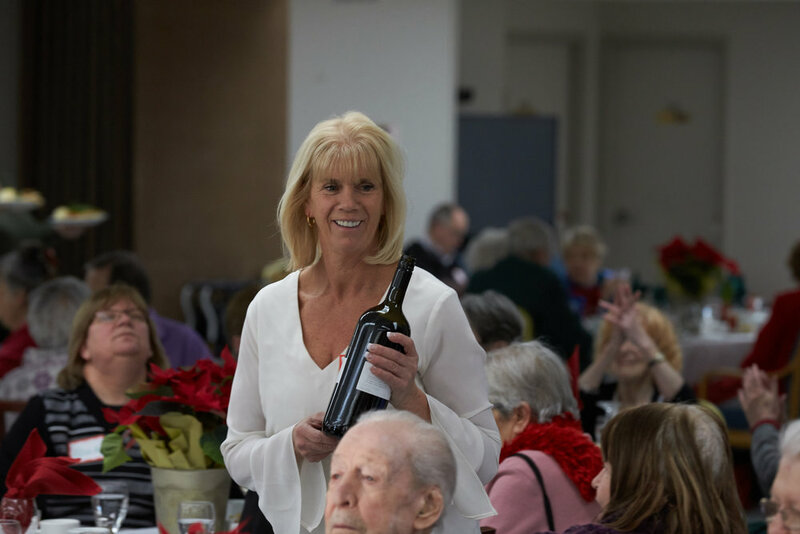 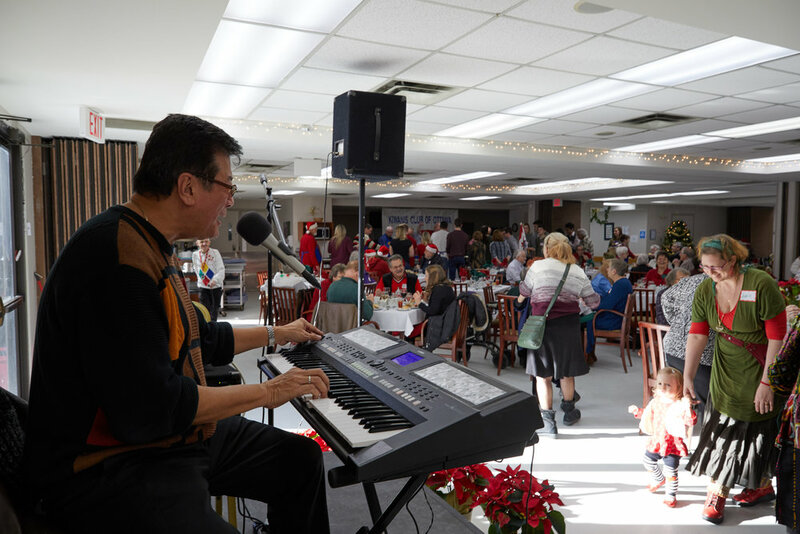 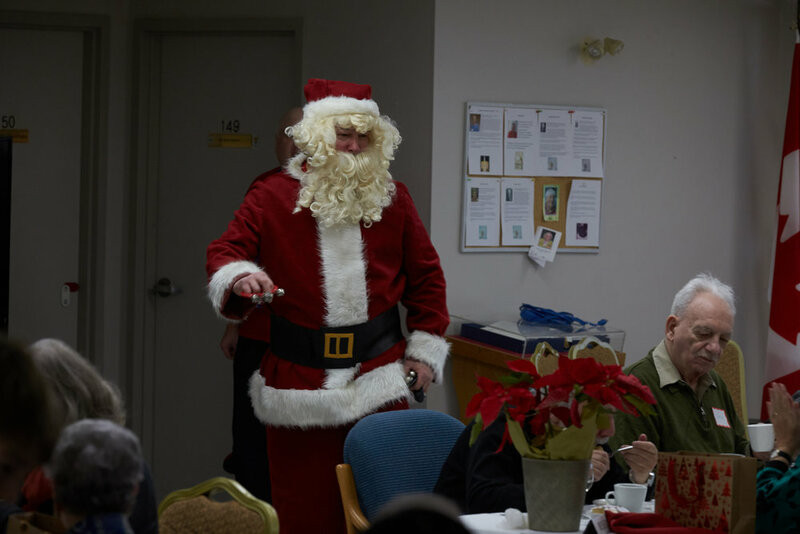 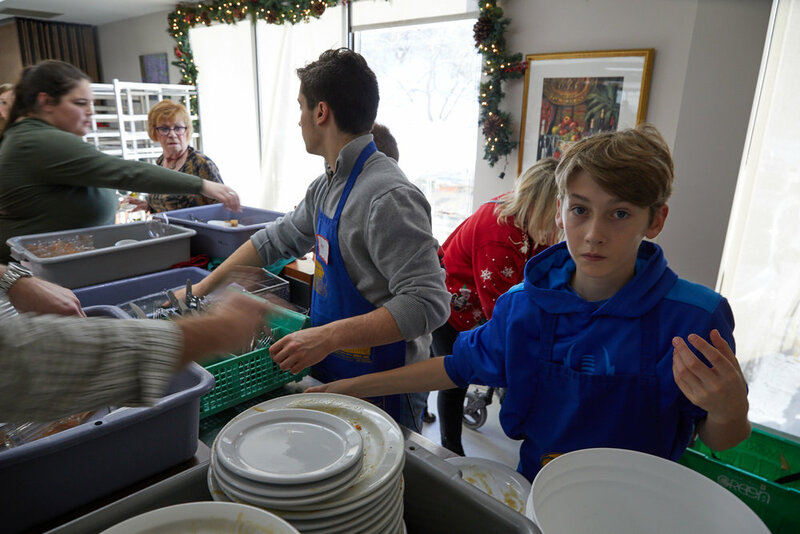 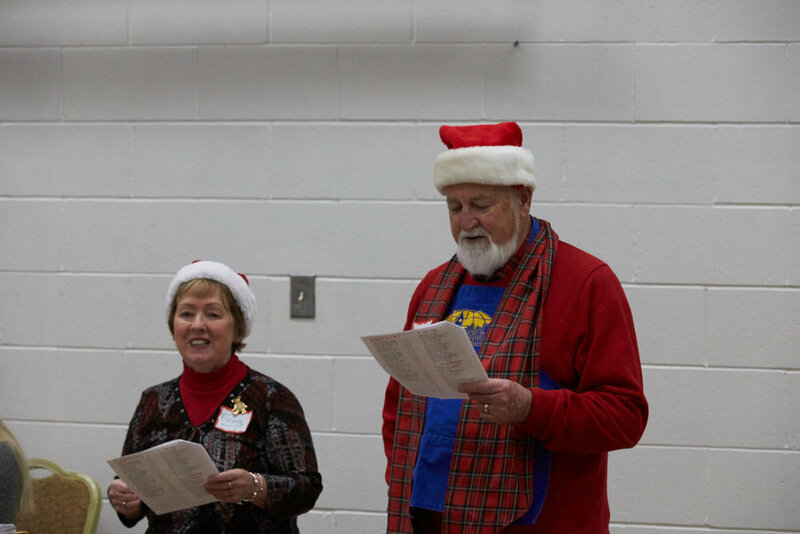 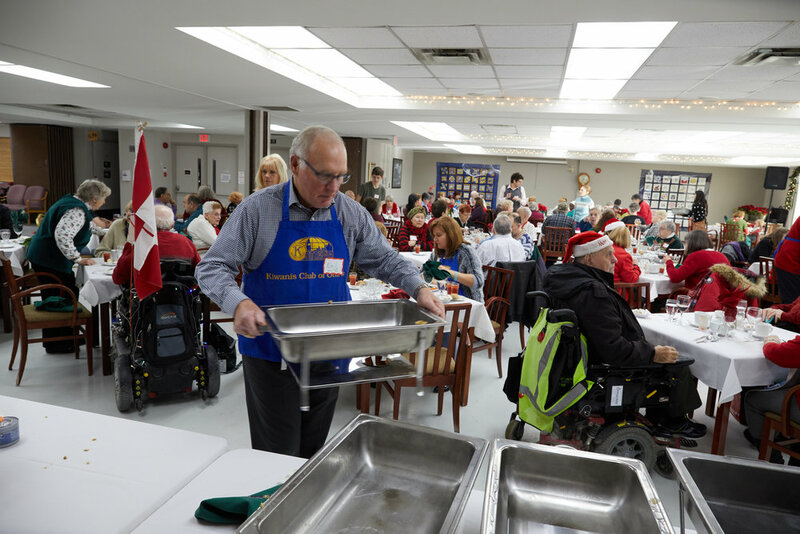 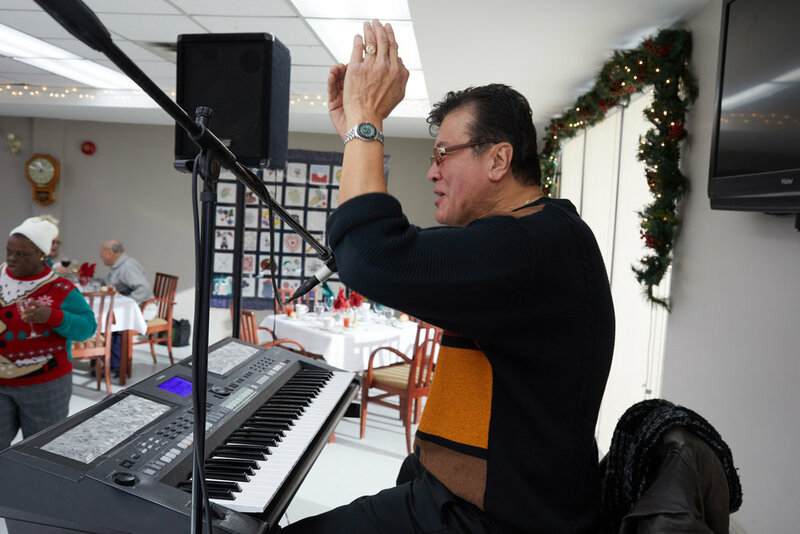 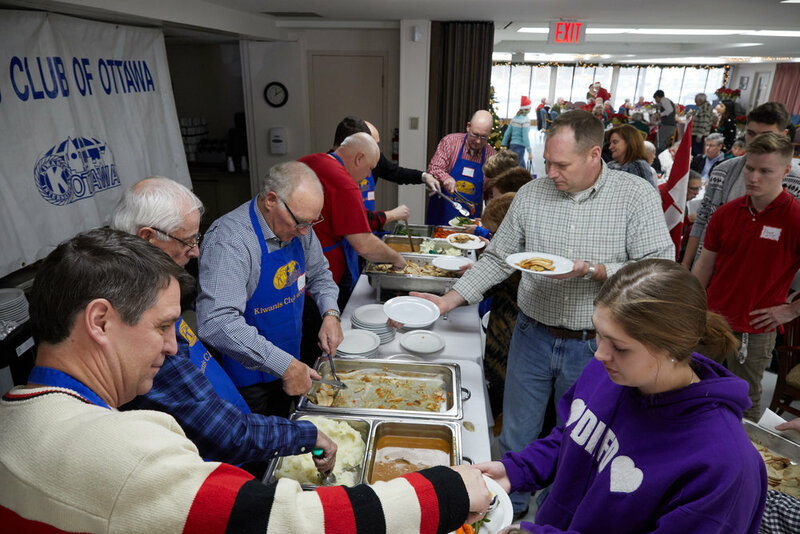 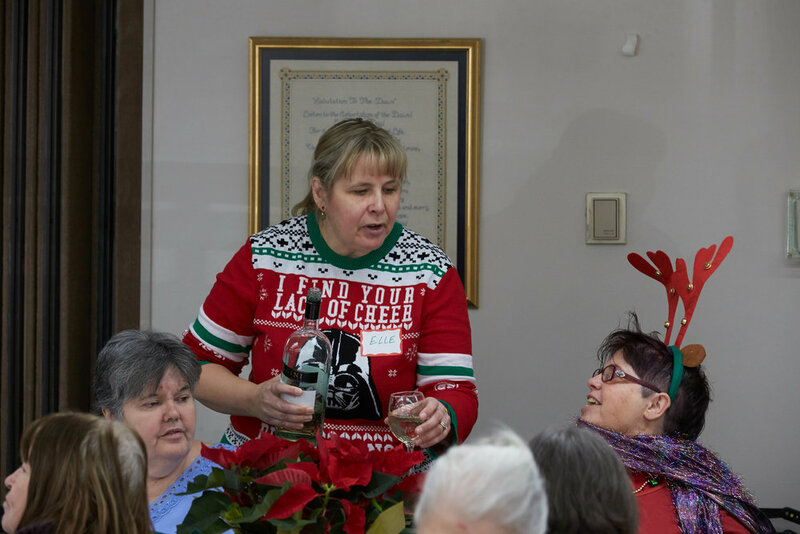 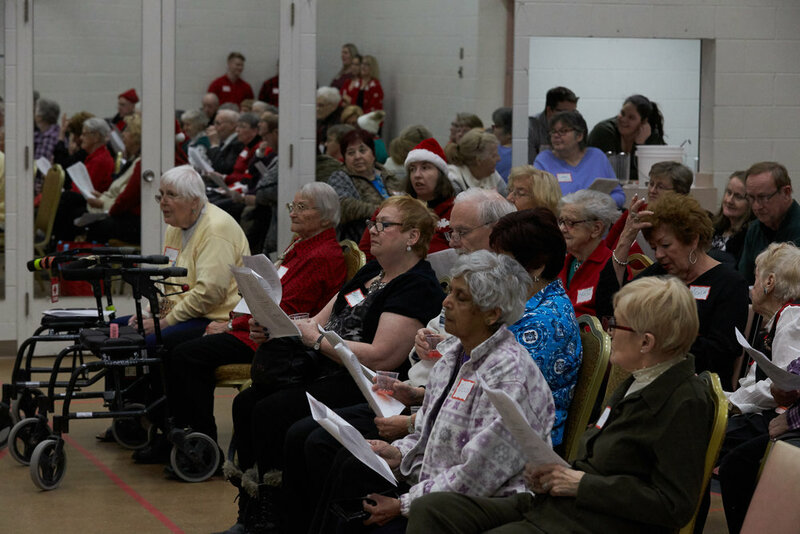 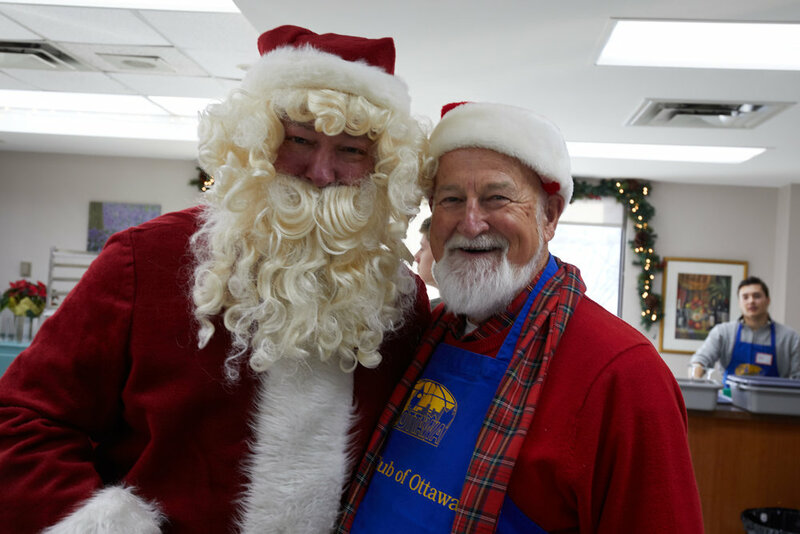 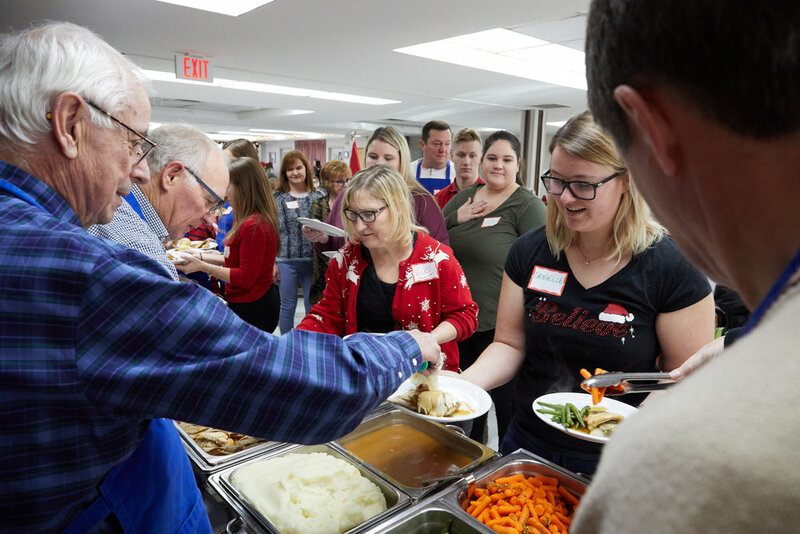 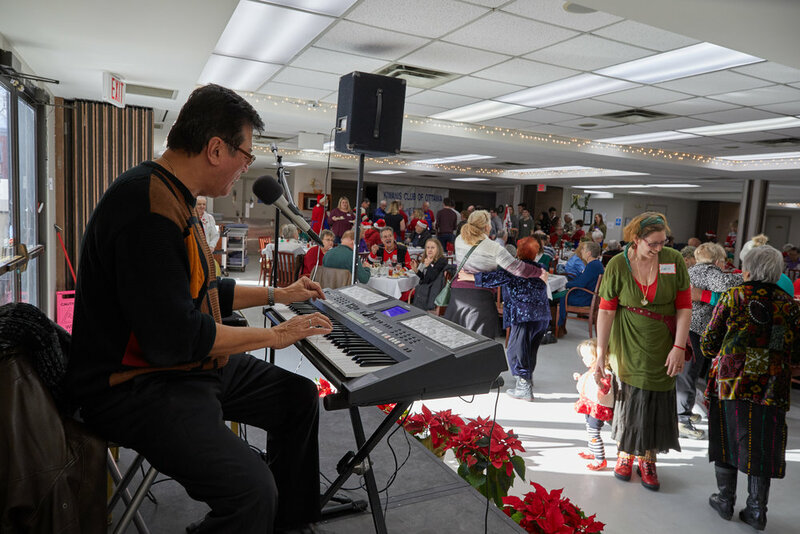 The 63rd Christmas Luncheon for Seniors was put on by the Club, this year at the Good Companions Centre with the help of the Centre, and chef Frank.. 125 Seniors were in attendance, along with 25 volunteers including Kiwanians, family and friends for a wonderful meal, along with entertainment from Noel Dimar.